SEBASTIAN, Fla. — A local connection in the case of a Florida caregiver arrested for impregnating an intellectually disabled woman. Contact 5 has learned the victim and her family are from Sebastian. 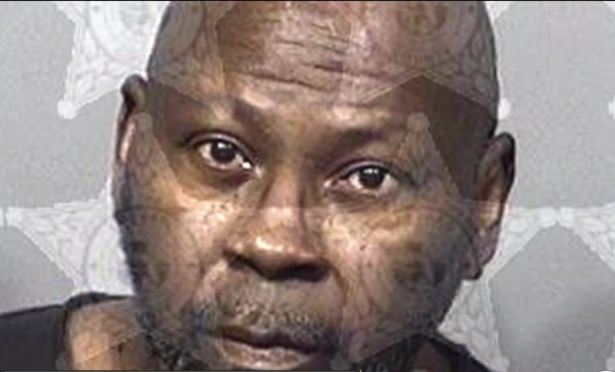 According to police in Brevard County, it took four years to arrest Willie Shorter. The family, through their lawyer, say they intend to sue the group home that was supposed to keep her safe. "Our client had measles when she was a young girl. she developed a high fever and developed a brain injury as a result of that," says Kevin Smith of Lytal, Reiter, Smith, Ivey, and Fronrath. Because of her condition, Smith says his client was put into a group home in Brevard County, managed by the Bridges Foundation, years ago. In 2015, she became pregnant. "No one really knew for several months. Her parents didn’t even realize or know it until she was 6-7 months along. had to have the baby via C section because she didn’t know what was happening to her," says Smith. The woman has the mental capacity of a 10-year-old. Her parents are now raising the child. According to police, when she became pregnant, they wanted to test the DNA of an employee named Willie Shorter, who had contact with her, and whom she had named, but there wasn't enough evidence to make him hand it over. "It was our understanding he was only told he couldn’t work in that particular building and stay away from her but was not fired at that time until he was actually arrested and proven paternity," said Smith. In April 2018, Shorter did provide a DNA sample after the same woman reported he had touched her inappropriately again. That led to his arrest on Wednesday. The family plans to file a lawsuit against the Bridges Foundation next week. "Of all people, she needs protection and help more than anyone and this family trusted this facility to care for her and protect her and they failed to do that on multiple occasions for probably many years. Willie Shorter is charged with lewd and lascivious battery on a disabled person. Again, you might be wondering why the woman stayed in the facility after the pregnancy. The family's lawyer says they were told Shorter was not allowed to go into the particular building she was staying in, but the family is questioning why he was still allowed to work with the Bridges Foundation at all.